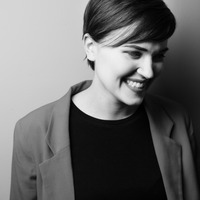 Unlike most authors, Veronica Roth had a relatively quick journey to literary stardom, with her debut novel Divergent landing her on the New York Times best sellers list at the tender age of 22. Roth attended Minnesota’s Carleton College for one year before transferring to Northwestern and graduating from the university’s prestigious writing program. Literary agent Joanna Stampfel-Volpe of Nancy Coffey Literary recognized potential in Roth and signed her to a contract, securing a publishing deal with HarperCollins only four days after sending out the Divergent manuscript. Told from the perspective of 16-year-old protagonist Beatrice Prior, Divergent chronicles a dystopian Chicago in which society groups citizens into five factions according to the person’s beliefs, passions, and loyalties. The highly anticipated second book Insurgent in the Divergent trilogy received high remarks and sparked a green light for the Divergent movie. Movie Rights for the Divergent movie belong to Summit Entertainment and Lionsgate. It is expected to come out in March 2014. The final book in the Divergent series will be in stores on October 22, 2013.